A loan of $1,100 helped to fabric, thread and thimbles to make outfits for boys and skirts for ladies. 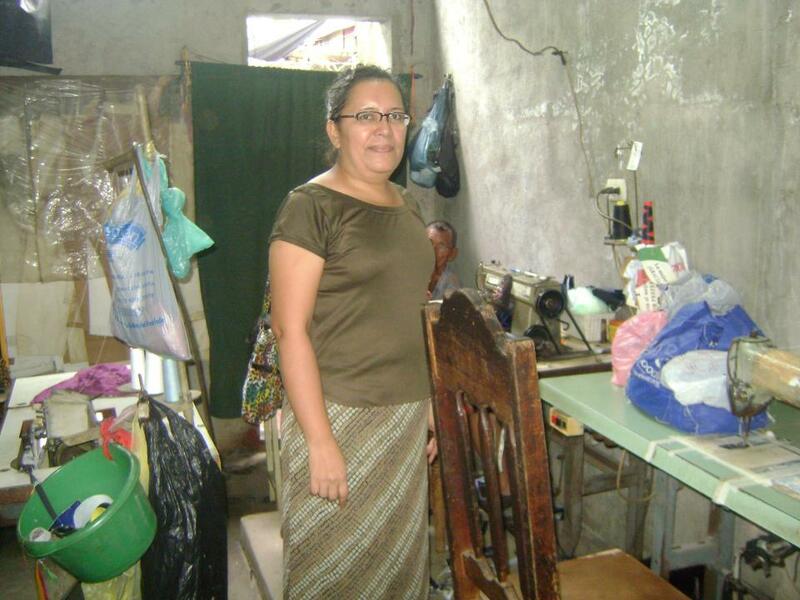 Iris has a sewing room at her house and works with two other women who are in charge of sewing and taking care of administration and customer service. She works Monday through Saturday from eight o'clock until five o'clock. Iris recently returned to the CEPRODEL office to request a new loan. She will invest this loan in the purchase of goods such as fabric, thread and thimbles to make outfits for boys and skirts for ladies. This is the second loan that Iris has taken out for her business with with CEPRODEL. La Sra. Iris tiene un taller de costura en su casa de habitación, ella trabaja con dos señoras más quienes se encargan de la costura y ella de la administración y de la atención al cliente. Ella trabaja de lunes a sábados desde las ocho de la mañana hasta las cinco de la tarde. Ella acude nuevamente a las oficinas de ceprodel para solicitar un nuevo préstamo para la compra de mercadería como es tela, hilos y dedales para la elaboración de trajes para niños y faldas para damas. Es el segundo préstamo que trabaja con ceprodel todos para el negocio. This loan is administered by Centro de Promocion del Desarrollo Local (CEPRODEL), one of Kiva’s larger partners in Central America. Founded in 1991 and based in Managua, Nicaragua, CEPRODEL specializes in the development and funding of housing cooperatives for traditionally marginalized communities, the provision of microfinance services to small businesses, and the promotion of innovative renewable energy projects. In addition, unlike many microfinance institutions in the area that have chosen to avoid the rural areas of the country due to the increased financial risk, CEPRODEL provides financial services to numerous clients in the agriculture and livestock industry. Supporting a borrower through CEPRODEL means contributing to the promotion and sustainability of this important work in Nicaragua. Nicaragua is a market that is saturated with microfinance institutions and other non-traditional financial service providers. We have seen problems of over-indebtedness in this market, so it is critical for Kiva to work with responsible lenders who look beyond the markets already being served. Kiva chose to work with CEPRODEL because they fit in these categories. Ceprodel works in rural areas of Nicaragua, providing agricultural loans, which is something fewer microfinance institutions do because of the increased risk. CEPRODEL also provides non-financial programs as well which is focused on providing housing to low-income populations. For an organization providing such costly additional services Kiva's 0% funding is very important to be able to maintain this important work.